Does TorGuard Work With Hulu? The VPN Lab - VPN Guides - Hulu Guides - Does TorGuard Work With Hulu? 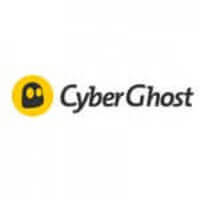 TorGuard is a trusted VPN provider that offers full anonymity, top-notch security, smooth performance, and more than 3,000 servers around the globe. It is likely to satisfy the tastes of both first-time users and VPN experts and it does not only allow you to surf and stream without any speed issues but also openly encourages P2P sharing. If you are thinking about getting a TorGuard VPN subscription but are not sure whether it can unblock your favorite streaming services like Hulu, we have the information you need to make up your mind. When it comes to streaming Hulu with TorGuard, we have some good news and some bad news. 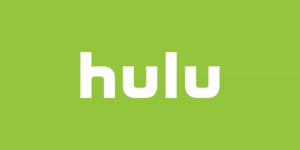 The bad news is that you cannot access the Hulu library just by getting a regular TorGuard subscription. The good news is that this VPN has come up with a devious and brilliant solution to this problem. Namely, TorGuard offers dedicated US streaming IPs as an add-on service. These dedicated IPs do not only allow you to stream Hulu content but also make it easy to unblock Netflix and other popular streaming services. As an add-on, a dedicated IP requires you to pay extra. You can get it for $3.44 – $7.99 per month, depending on the subscription length you opt for. While additional costs have never put a smile on anyone’s face, if you want to stream Hulu content from any place in the world, this add-on is definitely worth the price. Thus, we are happy to conclude that TorGuard is an excellent solution for accessing geo-restricted streaming services – including but not limited Hulu – and we have to applaud TorGuard for coming up with this clever trick and succeeding where so many others have failed.